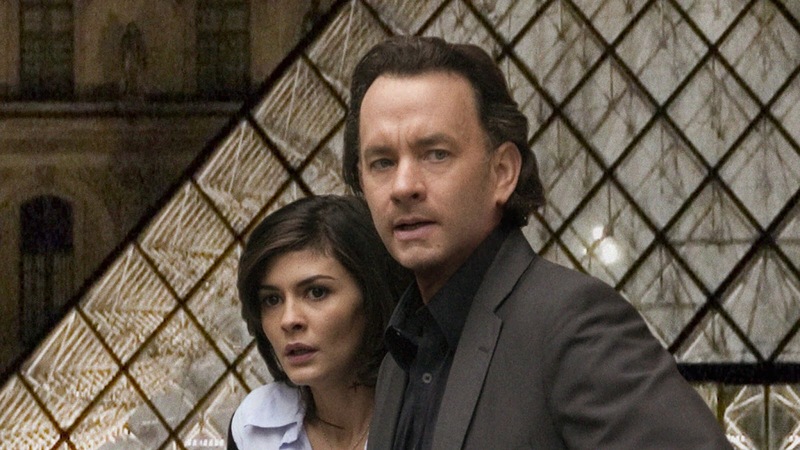 The most famous book of its era comes to the screen, and The Da Vinci Code is magnetic and muddled in equal measures. While on a trip to Paris, symbologist Robert Langdon (Tom Hanks) is summoned to the Louvre, where Police Captain Bezu Fache (Jean Reno) is presiding over the gruesome murder scene of Jacques Saunière. Although he was killed by the assassin Silas (Paul Bettany), before dying Saunière left cryptic clues potentially implicating Langdon. Fache's interrogation is interrupted by detective Sophie Neveu (Audrey Tautou), who claims to be Saunière granddaughter and helps Landon escape the Louvre and set out on a wild hunt to find the real killer. By sequentially solving Saunière's art-related puzzles, many involving the works of Leonardo Da Vinci, Langdon and Neveu conclude that Saunière was a grand master of the Priory of Sion, a secretive organization dedicated to protecting one of the most explosive religious secrets in history. 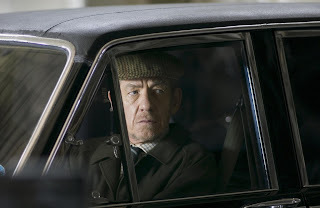 Langdon connects with his old colleague Sir Leigh Teabing (Ian McKellen) and starts to piece together a murderous conspiracy involving the someone called the Teacher working with Bishop Aringarosa (Alfred Molina) of Opus Dei to either find or destroy the Holy Grail. Neveu's family history increasingly becomes part of the story. The adaptation of Dan Brown's runaway bestseller was always going to be a challenge, and director Ron Howard nearly buckles under the pressure. Seemingly overawed by the material, Howard delivers a bloated 149 minutes consisting mostly of characters debating undoubtedly compelling and competing versions of religious history, punctuated by a few implausible action scenes. What was exciting on the written page often becomes rather mundane on the screen, as the cerebral puzzles central to Brown's thrill ride only partially translate to a captivating visual experience. The Akiva Goldsman script tries hard but is only successful in patches. He stubbornly refuses to shed any of the book's complexities. Every character and every twist and turn contained within almost 500 pages are crammed into the film, and the result is almost incomprehensible to anyone who has not read the book (admittedly, that's a small number). Despite the long running length, the film struggles for balance: most of the talk is about history, but when it comes to explaining the here-and-now conspiracy, Goldsman and Howard leave behind scattered fragments of a difficult to follow plot. And yet The Da Vinci Code survives despite itself. There is enormous power in Brown's imaginative story, and the underlying strength of the material holds the drama together. Extrapolating the implications of the purported mission of the Priory of Sion and the supposed clues hidden in Da Vinci's Last Supper is a mind bending experience, and with help from an excellent Ian McKellen performance, Howard handles these scenes well. Paul Bettany is the other stand-out performer, providing the killer Silas with an intriguing mix of tortured pathos and grim determination. Simultaneously astute and awry, The Da Vinci Code is a puzzle of partially perfected promise. We'll disagree on this one, and on Dan Brown's story. I thought The Da Vinci Code was a really inventive tale told by a really bad storyteller. The movie strikes me more as a muddle story told by a director who can be great, but isn't here. I thought it was laughable.